This is for all of you MYP Spanish teachers out there! 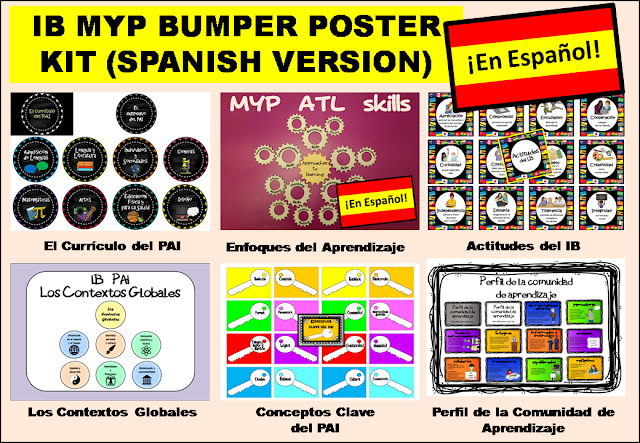 I've just put together several sets of MYP posters in Spanish and added them to my TPT store. All of the poster sets are available individually too. The total cost of all of them is $12. If you purchase this bumper kit, you can save $2. For anybody looking for MYP resources/posters in French... They're coming to you this summer!